We have decided to re-post a very important post by our co-worker, Emily Anthony, from last year with a few updates. ‘Tis the Forestry season! 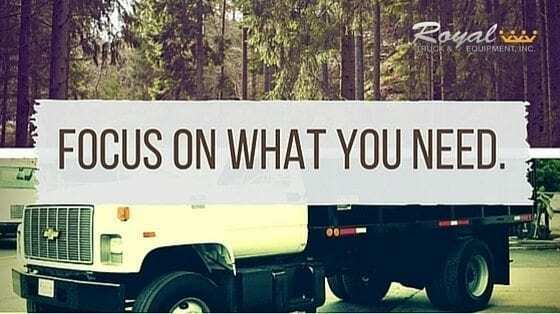 If you’re in the forestry business, it’s time to purchase a new truck! You’ve got jobs lined up into the spring and you’re wondering if your current truck will live to see another day? She’s been good ol’ reliable all these years, but between you and me, it’s time to let go. Don’t worry! She’s done well and will give you a good starting point for your next forestry truck purchase. Here is your shopping list for your next forestry truck purchase! There is so much to think about…How long do I want the body to be? How much will I need to tow? Is it really worth getting a grapple? It’s easy to focus on the smaller details before looking at the big picture. The best way to find the truck that’ll meet all your requirements is to assess the needs of each job and what they require. This way, when you’re ready to purchase, you’ll know exactly what to look for. Now you have a clearer picture of where to start. One pitfall to avoid is to do things the way they’ve always been done. This is your company – take what you’ve learned from past experience and improve on the design. Did your last truck have enough payload? Did it have the best tools for the job? If you’re starting fresh, it might be the best time to optimize and choose a durable truck that lasts as long as you need it to. This is one of the most important things to consider. A forestry truck should be built tough. It just doesn’t make sense to buy something that isn’t going to last. Buying something that isn’t durable, and of shoddy quality, you’re not only putting your business at risk, but the lives of your workers as well! Another important element is to make sure your truck abides by the regulations set by your state. The truck you purchase should say to everyone “I was made for this.” A final stage manufacture sticker certifies your truck was built for this purpose. This can also save your company from liability in the event of an accident. This is arguably the most important thing your truck is able to do. It doesn’t seem like rocket science, but one thing people forget to consider is how much a truck weighs when it’s empty. This is a major factor if you want to buy a non-CDL truck. This ties into carrying capacity in a big way. Because the weight of the trailer and the truck cannot exceed the weight of the GVWR (or GCWR), you need to consider this when purchasing. According to the Society of American Foresters, grapples are “hinged jaws or arms capable of being opened and closed and used to grip logs or trees during skidding or loading.” Grapples can help you move big objects securely and safely – keeping your crew from back breaking labor. This is the fun part – now that you know what you absolutely need, it’s time to put your own spin on it. It’s your business – even small changes can put your name out in a big way. Let’s take a peek at some examples. This directly correlates to how much you can carry – but it’s really up to you to determine how long or how short you want the body to be. 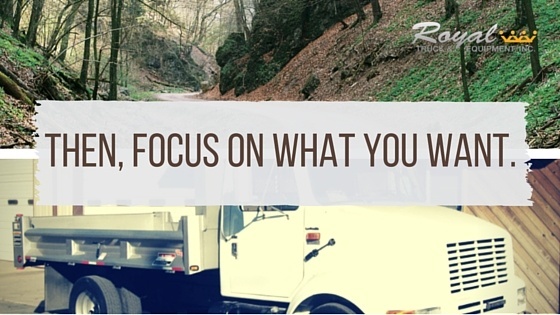 Think again about what jobs you have and what you’re using the truck for. The higher the sides, the more product you can carry while keeping things secure. For smaller jobs, this might not be as important, but for large jobs, having the capacity can keep you and your workers on a job from making several trips a day. These are great for keeping everything in the truck as well. If you’re hauling items that can fly out of the top and distract the drivers behind you. Lids are also great for chipping operations. Removable lids give you versatility for both! This is the icing on the cake! How do you want to stand out from the competition? Choose colors that both are relevant to the industry and to your business.